A team of parents (1-4 families) provide a team lunch each Saturday. Please sign-up for 2 Saturdays. Veteran parents please take the initiative to contact first year parents to coordinate your meal. Lunches consist of: main dish (i.e. 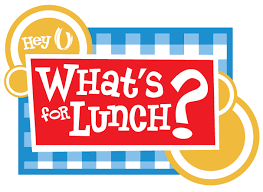 tacos, lasagna, pulled pork, burger, hot dogs, soup & sandwiches, pizza…), side dishes (salad, vegetable tray, fruit, bread, chips...), dessert, and condiments. Making breakfast (egg casseroles, pancakes, sausage eta...) is also an option. When signing-up please be specific in what item(s) that you will be providing. RR provides paper products, plates, napkins, & plastic-ware. Drinks are optional, students have access to cups and water. $70 will be reimbursed to the parent team each week to help cover food costs. Students will be available to help you clean-up if needed. Location – SFHS Culinary Classroom (E-Wing, two doors down from CAD Room). Enter at door 25 (at the back ot the building past the greenhouse). Thank you so much for your willingness to help out RoboRiot Team 3418. I can bring taco shells, sour cream, and a dessert. I can bring lettuce, tomatoes, salsa and retried beans. 920-893-6004 Potato bar will work. Please indicate phone number or call us to corridate. Thank you. Would you like to do a baked potato bar? I can bring cheese and chips.